day 4661: odin’s first AAA youth hockey tournament! heya! a lot has happened since i went on a little blog hiatus! state hockey championships came and went. odin’s team lost the first game but won the remaining three which earned them a consolation prize. also, odin decided to try out for the regional youth AAA hockey team, the jr. chill, and made the team! odin is just one of two 12 year olds who made the team so he’ll be playing with and against, bigger and faster 13 and 14 year olds. today was their first game of their first tournament in elk river, minnesota. odin learned very quickly that the pace of play was quite a bit different! and it’s his very first time playing with checking! i thought they played well for their first game and trying to figure out how to come together as a team. 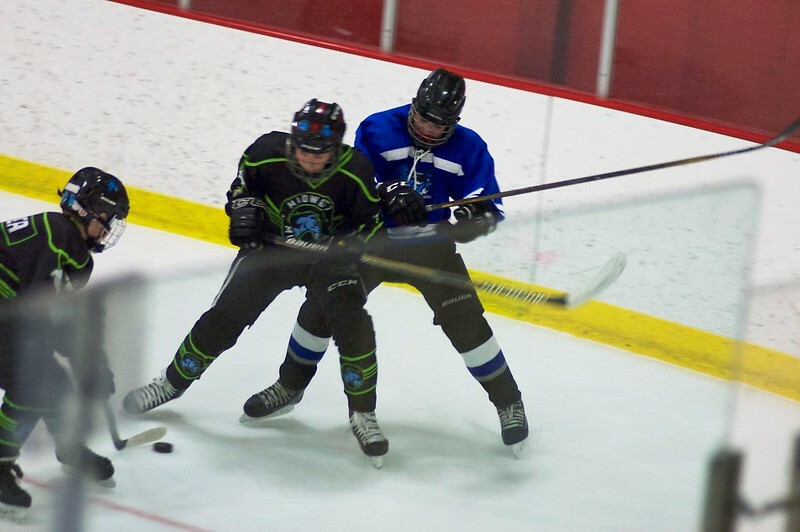 they held the game within a point, 2-1, until the last five minutes when frustrations boiled over and two of his teammates when into the penalty box and the opposing team scored two quick goals to end the game 4-1. Previous Postday 4620: wait, what? it’s almost the end of the regular hockey season? !Next Postday 4661: a new twist on team bonding in hotel lobbies with klask.